Science is a cross-border process. It seems that links between the image processing communities between Hungary and Poland are not very strong. Therefore, a review of research in this domain in Poland is worth making. In the first part of the talk we shall go through the subjects and people working on image processing and pattern recognition in a number of cities throughout Poland. It can be said that the most challenging research questions are evoked by difficult practical problems. Working at the University of Life Sciences means having access to a mine of such problems. The tour will be ended by a presentation of some practical and theoretical results concerning the LIDAR measurements made on trees. Forest management in the setting of sustainable economy makes it necessary to use measurements made from surface and air which produce gigabyte point clouds. The problem lies in the efficiency of analysis and in its robustness against missing and outlying data. Robust analysis based upon fuzzy histograms will be briefly introduced. The robust methods are computationally demanding so hierarchical approaches are used. Interestingly, new elements can still be introduced into the classical Hough transform-based methods when the simple condition of opacity of the considered objects is introduced. Close cooperation with the forest specialists indicates the viability of the developed methods. Biography: Leszek Chmielewski received his M. Sc. and Ph. D. degrees from the Warsaw University of Technology, Poland, in 1981 and 1985, and D. Sc. degree from the Institute of Fundamental Technological Research, Polish Academy of Sciences, in 2008. In 1986-2009 he was with the Institute of Fundamental Technological Research. Since 2010 dr Chmielewski is with the Warsaw University of Life Sciences as an associate professor. He was recently elected as Deputy Dean for Science at the Faculty of Applied Informatics and Mathematics. He is the Executive Editor of Machine Graphics & Vision (1992-2000 and 2008-present) and the President of the Association for Image Processing, Polish member society of the IAPR (1994-2003 and 2010-present). In 1999-2001 he helped the Polish scientific community to raise the European Community funds for research as the Coordinator of the Information Society Technologies programme at the Polish National Contact Point of the Framework Programmes of the EC and the Expert of the Information Society Technologies Committee of the EC. He was the member of organizing and scientific committees of several conferences in Poland and abroad. His research concerns image analysis in biology and medicine, with a special interest paid to accumulation-based methods. His publication record includes, among others, a co-edited monograph on medical image processing, a book on accumulation methods in image processing, and about 40 refereed journal and conference papers. Attention is one of the key mechanisms of human perception. Among the biological mechanisms involve in Attention, visual attention is likely the most important one enabling us to efficiently deal with the large amount of data contained in our visual environment. In this presentation I will first introduce the main biological features of visual attention. After this brief review, I will focus on computational implementations of visual attention, also called saliency model. In particular, a taxonomy going from hierarchical to statistical models of visual attention will be given. In order to assess model’s performance, I will then dress a list of similarity metrics commonly used in the literature . In particular I will explain how to build a ground truth from eye tracking experiments and how to use it. Limitations of this kind of assessment will be emphasized by briefly introducing the notion of focal and ambient visual fixations. Finally the last part of this talk will be dedicated to saliency-based applications. I will provide an overview of applications but I will focus more accurately on new eye-tracking data applications such as . O. Le Meur and T. Baccino, Methods for comparing scanpaths and saliency maps: strengths and weaknesses, Behavior Research Method, 2012. O. Le Meur, T. Baccino and A. Roumy, Prediction of the Inter-Observer Visual Congruency (IOVC) and application to image ranking, ACM Multimedia, 2011. Biography: Olivier Le Meur, received the PhD degree from the University of Nantes, is an Associate Professor at the University of Rennes 1 (France). Before joining the University he was a team leader of the research staff at Technicolor Research Laboratory. His research interests include the modeling and understanding of visual attention, as well as its applications. He is particularly interested in video compression, quality assessment, inpainting and retargeting. Classical colorimetry is not capable to describe correctly the visual scenes illuminated by modern solid state light sources. Thus in image processing some further considerations are needed beyond CIE colorimetry. In the present paper we will show some of the problem areas and possible better description methods. The CIE 1931 colour matching functions (CMF) are in error, and in case of modern light sources (LEDs or laser projectors) the differences are not negligible. Correct CMFs will be shown. Brightness perception does not correlate with measured luminance well. A new metric of equivalent luminance will be shortly introduced, together with some open questions, how eventually the intrinsically photosensitive retinal ganglion cells might contribute to brightness sensation. To be able to reproduce coloured surfaces correctly the colour rendering capability of the different media has to be known. Beside the classical colour rendering recently the demand for preferred reproduction is increasing. Experiments to get to an adequate description of colour fidelity and colour preference rendering will be discussed. 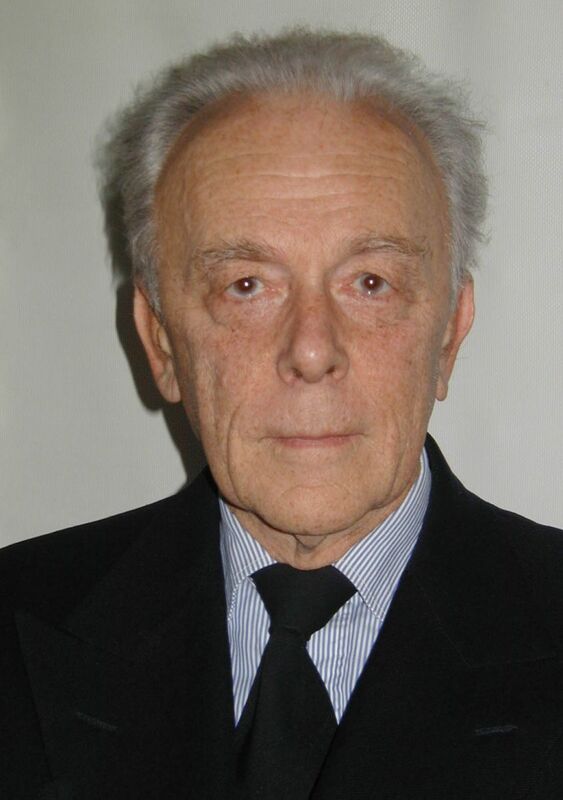 Biography: Dr. János Schanda is Professor Emeritus at the University of Pannonia, Hungary. He graduated in physics at the Loránd Eötvös University in Budapest. The Hungarian Academy of Sciences granted him the degree of “Doctor of Technical Sciences” for his thesis work on colour rendering. After graduation he worked for three years at the Hungarian Office for Measures, then joined the Research Institute for Technical Physics of the Hungarian Academy of Sciences. He retired from the Institute as Head of the Department of Optics and Electronics and joined the University of Veszprém (now University of Pannonia) as professor of informatics. He headed there the Department of Image Processing and Neurocomputing. Since retirement, he is Professor Emeritus and heads at present the “Virtual Environment and Imaging Technologies Laboratory”. During the nineteen eighties and nineteen nineties he worked also for the International Commission on Illumination (CIE). He is past VP Technical of the CIE. He is on the editorial / international advisory board of Color Res. & Appl., USA, Light & Engineering, Russia, Lighting Research & Technology, UK, and Journal of Light & Visual Environment, Japan. Since 2010 he is member of the Advisory Board of the Colour & Imaging Institute, Art & Science Research Centre, Tsinghua University, China, since 2011 of the Centre for Colour Culture and Informatics (C3I) of Taiwan. In 2010 the British Colour Group awarded him with the Newton Medal, in 2011 CIE presented him the “De Boer Pin”. He is author of over 600 technical papers and conference lectures. ... and the winner of the KÉPAF PhD Prize annouced at the gala dinner.